If you don't know anything about Swagbucks, but you're curious—visit the Swagbucks "How it Works" page and join for free! For you veteran Swagsters who ALSO cloth diaper your little ones, I wanted to offer a little tip that's worked to save me some good money on cloth diapering accessories. I really only use Swagbucks as a search engine. I search for EVERYTHING on Swagbucks—Facebook, Gmail, Blogger, anything I would normally use Google for, and any Web sites I visit on a regular basis. That's how I earn my points. Once I get at least 450 Swagbucks, I purchase a $5 Amazon e-Gift Card (btw, if you buy 5–$5 Amazon cards at 450SB/card—total of 2250 SB spent for $25-worth in Amazon cards—it ends up being cheaper than spending 3150 SB for 1–$25 Amazon card). I then can use my Amazon card for whatever I want on Amazon. But, I've been using them lately for cloth diapering accessories! You may not know it, but Amazon stocks a wide variety of items for your cloth diapering needs ! 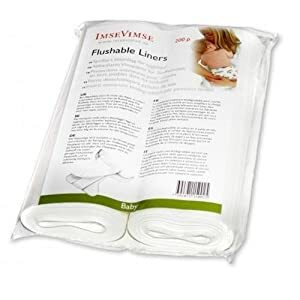 I recently bought our Imse Vimse Flushable Liners for a really comparable price (to all the other online cloth diaper retailers). 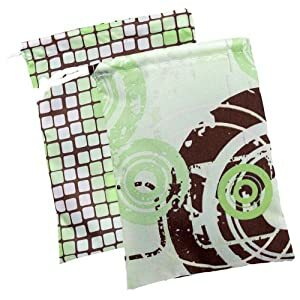 I used two of my Amazon cards and saved quite a bit of money when I purchased these, and added this 2-pack of Kushies "on-the-go" wet bags for under $10. I think I paid under $8 out-of-pocket for the liners and wet bags, with free shipping! They even carry a selection of cloth diapers from brands like BumGenius, Econobum, FuzziBunz, Happy Heiny's, Kissaluvs, Kushies, Mother-Ease, SwaddleBees, Thirsties, and many, many more (view the complete list)! I was pleasantly surprised at the selection. They carry AIO's, OS, prefolds, pocket diapers, fitteds, and more. They also have accessories like cloth wipes, wet bags, fasteners, inserts, doublers, complete kits, biodegradable liners, cloth diaper-safe detergents, covers . . . I could go on and on. Now, just think of the savings, when you combine the resources of Amazon with the power of Swagbucks, and you could get some significant savings on your cloth diapering supplies! 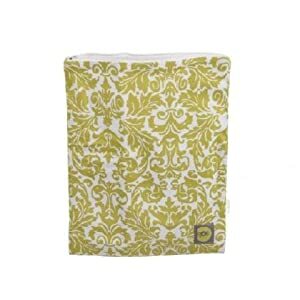 Oh, and they also carry Moby Wraps , and other baby carriers !! Imagine the possibilities for your Swagbucks! Maybe my next purchase will be this super cute wet bag ! I've got some Amazon e-Gift cards burning a hole in my virtual pocket! :o) So, make your Swagbuckin' work for you—whether it helps offset the cost of cloth diapering, MP3s , or your reading addiction . Happy swagging!